London: Manchester City brushed aside struggling Cardiff to leapfrog Liverpool at the top of the Premier League on Wednesday as Tottenham opened their glittering new stadium in style. 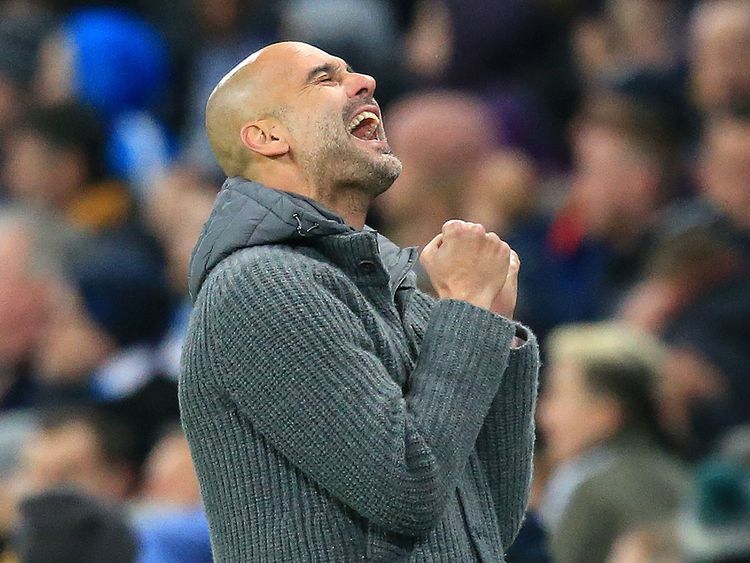 City’s 2-0 victory over Cardiff took Pep Guardiola’s quadruple-chasers to 80 points - one clear of Jurgen Klopp’s Liverpool, with both sides having six matches to go. The defeat leaves Neil Warnock’s Cardiff third from bottom, five points from safety, with only relegated Huddersfield and Fulham below them. Chelsea boss Maurizio Sarri made multiple changes from the team that started Sunday’s tense 2-1 win at Cardiff, with Eden Hazard and N’Golo Kante back in the starting XI. But the main talking point was a first Premier League start for 18-year-old Callum Hudson-Odoi, who has already impressed for Gareth Southgate’s young England side. Hazard doubled Chelsea’s lead in the 60th minute and midfielder Ruben Loftus-Cheek put the game beyond doubt just three minutes later. City’s victory against Cardiff at the Etihad Stadium was their eighth consecutive Premier League win and puts them back in pole position in the Premier League. With the League Cup already in the bag, City are struggling to quell growing talk of a historic quadruple even as Guardiola attempts to keep his players’ feet on the ground. After this weekend’s match against Brighton at Wembley, they will take on Tottenham in the first leg of the Champions League quarter-final.